Remember yesterday how I shared a tee shirt shift dress dressed down? 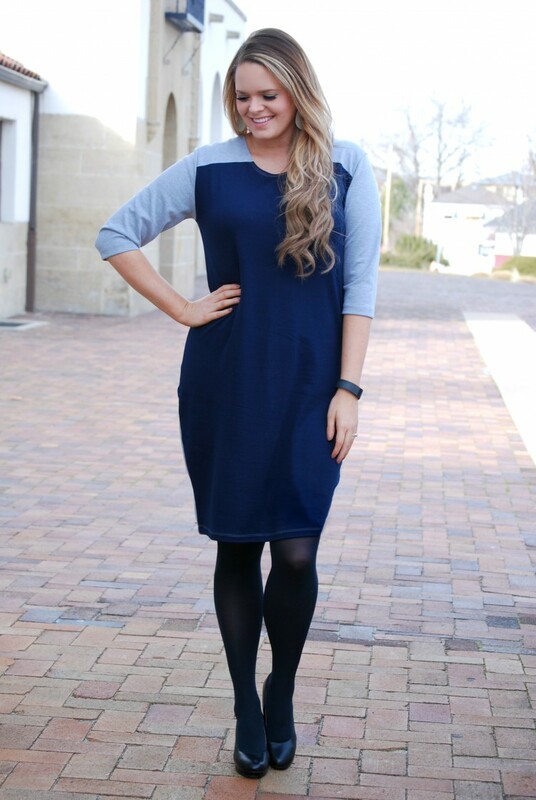 Well today I am sharing my other favorite comfy dress all dressed up! Once again I will start by saying how important it has been for me to find a tee dress that is not only cute but was high quality. I am not about to spend money on something that will be come see through after a wash or two, I am not a huge fan of undershirts with dresses. I was so happy to find two dresses that met all the requirements I have for a tee dress. And today I am sharing a way fun one from Brass Button Clothing. This dress has some fun flare all on it's own. 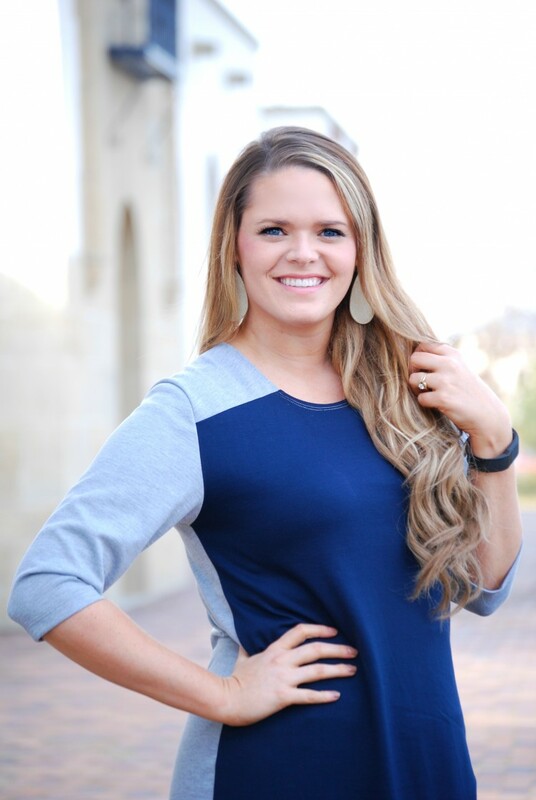 The whole front is a pretty navy color and the entire back is a solid heather grey. I loved it. The way the two materials are cut together add a slimming illusion too. I decided to bring a little more grey to the front with my metallic silver earrings. Then I paired the dress with some black tights and black heels to bring a little dimension. 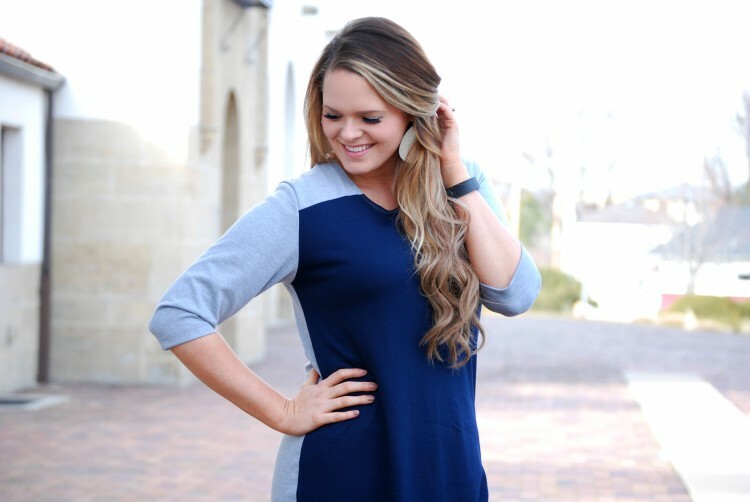 It is a simplistic and sophisticated take on a tee shirt shift dress. I have worn this outfit to work and church already and I am sure it will remain in my regular closet rotation for awhile. And as simple as that I have take a shift dress and dressed it up. Now that you have seen both dressed up and dressed down I want to know, which do you like best? How would you style your tee shirt dress?